This is a moving story about a single parent family facing financial hardships in a modern-day British city full of social problems. The young mother is Tina, whose efforts to keep her two children safe and warm is heart breaking. Uniquely, the story is told by Tina’s daughter Jesika, who is only four- and a half years-old. We see life through this young child’s eyes. She understands a lot of things, such as how cold their flat is, and how smelly their stairs are. But so much of what she hears and sees is too confusing for her to understand, like when she spots something interesting on one of the steps. It looks like a jection, not like the one in my doctor bag for Baby Annabelle, but a proper jection like the one the real doctor scratched my arm with so I don’t get nasty germs. ‘Look,’ I say. ‘There’s a jection for Toby to make his chesty fecshun go away,’ but Mummy’s still fight the bags. I know I’m not apposed to go down the Smelly-Stairs but Toby’s coughing and crying and the jection will make him all better and Mummy will be really pleased, won’t she? But these are dirty needles thrown out by drug addicts. Jesika can’t understand why her mother pulls her roughly away and looks at her with ‘scary-wide eyes’ or speaks with her ‘snappy like a crocodile voice’. She tries hard to do as she is told. But sometimes, when her mum forgets something, even Jesika gets angry. Everyday is a struggle for Tina, and when her son becomes very ill, she finds it difficult to cope. And when Jesika moans about not having any ‘melty cheese’, and makes funny faces, she and the baby laugh and laugh. For days, Jesika worries Tina is going to leave her. But she is a good mum, who is open and honest with Jesika. She tells her not to be afraid and to stand up for herself. This is not always easy for Jesika, especially when she makes a new friend at school and meets other families. Families who have secrets. Tina’s plight is very distressing, and the need to know how the novel ends is compelling. The heart stopping moments are lifted by light and funny flashes. And I look at Mummy and I giggle cos there’s a big drip of water hanging off the end of Mummy’s nose and I tap Mummy’s nose to make it fall off and I giggle again and Mummy says, ‘Oh that’s so funny Jesika,’ and she’s trying to look cross but her laughing face keeps pushing the cross away and I giggle again. Jesika is an endearing child who is liked by several kind and helpful neighbours. She, in turn, amuses the reader with the names she gives them, such as Shiny Head Man, or Not Smiley Lady and others. Jesika sees everything around her in a simple, straightforward, childlike way. 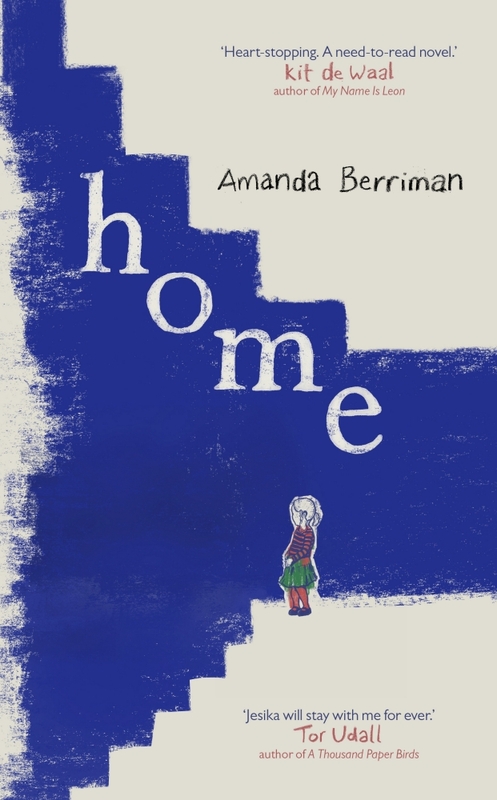 She reminds us of how it might have felt to be a young child in an unsafe world. All she knows is that she loves her mother and brother and she needs them more than anything in the world to feel safe and happy, even at home. All adults should read this book because it is an eye opener on so many counts. It is a gripping tale which will haunt the reader for a long time after it is finished. This is a wonderful book, written beautifully by an author who understands the emotions of small children. A must read. Katherine Clement's is editor of Historia, the online magazine of the Historical Writers’ Association, and is a member of the HWA committee. She is a member of the Society of Authors and authors’ collective the Prime Writers and is an occasional contributor to Northern Soul. She is currently Royal Literary Fund Fellow at Manchester University. Katherine's critically acclaimed debut novel, The Crimson Ribbon, was published in 2014 and her second, The Silvered Heart, in 2015. 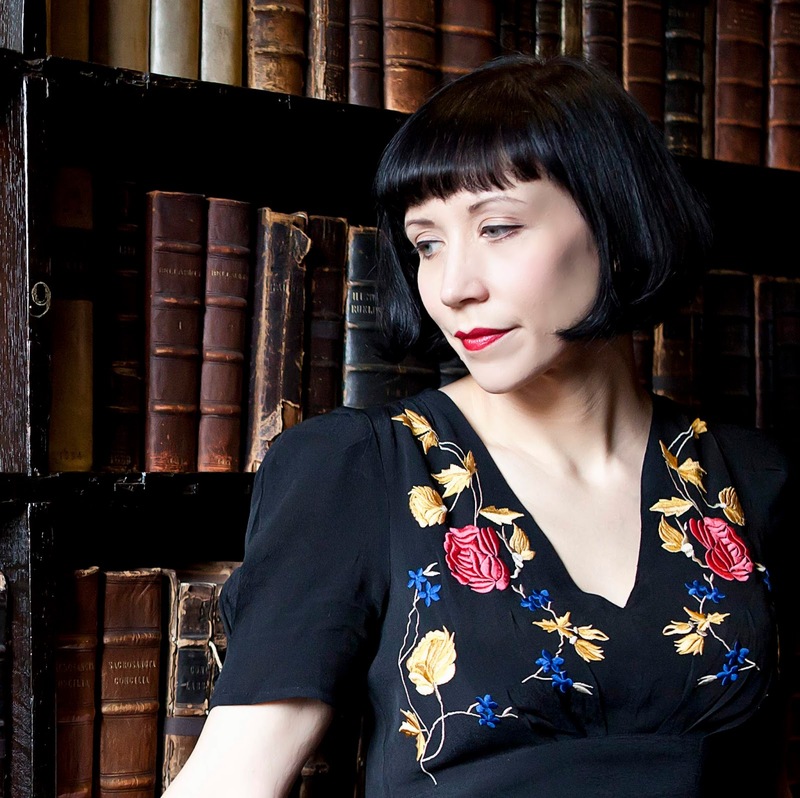 Her work has been compared to the likes of Sarah Waters and Daphne du Maurier. Her third novel, The Coffin Path, is published on 8th February 2018. Mercy Booth isn't afraid. The moors and Scarcross are her home and lifeblood. But, beneath her certainty, small things are beginning to trouble her. Three ancient coins missing from her father's study, the shadowy figure out by the gatepost, an unshakeable sense that someone is watching. 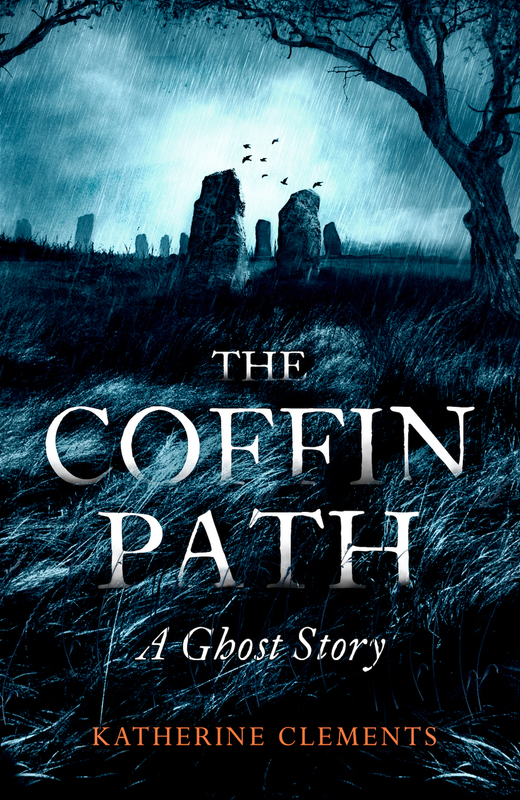 Greenacre Writers is very pleased to be kicking off The Coffin Path, blog tour and welcome the extremely talented Katherine Clements to today's A Conversation With... An eerie and compelling ghost story set on the dark wilds of the Yorkshire moors. This gothic tale will weave its way into your imagination and chill you to the bone. We wish Katherine much writing success with her third published novel. I used to write as a child, but life took over and it wasn’t until my early 30s that I picked up my pen again. I dabbled for a few years, taking evening classes and making false starts, struggling with confidence. Then, an insightful friend encouraged me to enter a short story competition. That story was shortlisted, which gave me the boost I needed to take my writing seriously. The real turning point came in 2008 when I attended an Arvon course. There I found the confidence and encouragement to make a start on the novel I’d been thinking about for years. I came home inspired and determined to give it my best shot. It took another four years, and about seven drafts, but that book became my debut novel, The Crimson Ribbon. Along the way I entered, and eventually won, a few writing competitions, and the manuscript of my novel was longlisted in the inaugural Mslexia Novel Competition in 2011. I got an agent in 2012 and after that things moved pretty quickly. In December 2012 I signed a three-book contract with Headline. The Coffin Path is the third book of that deal. After that – who knows? Many of my characters are deeply flawed and have some very unappealing traits! Some readers absolutely hated Lizzie in The Crimson Ribbon. She’s a very selfish, manipulative character, but I recognised and understood her contradictory nature – there is good in her too and that’s what my protagonist, Ruth, clings to. Similarly, Kate, the main character in The Silvered Heart, is spoilt, snobbish, self-obsessed and judgemental, but I adore her! I have a soft spot for Sir Richard Willis in the same book. He’s a terrible cad, but was so much fun to write. It’s all about understanding a character’s motives. I’ve tried to write a truly unpleasant character but it didn’t work for me: they seemed clichéd and one-dimensional. Of course, it can be done, but most people are a mixture of likeable and not-so-likeable traits; surely our job as novelists is to create realistic, multifaceted characters. This is a tricky question because it depends on the definition of diversity. I think there is currently impetus to repopulate the past with the stories of people that are missing from the traditional narrative of western history written by ‘white middle-class men’. That can only be a good thing, but I think novelists, myself included, have been doing this for years. Right now, New Orleans. I’m working on a project based on the early colonial history of that city and am longing to return. It’s like nowhere else. I’m tempted to say Wolf Hall – it’s such a masterpiece – but I think Fingersmith by Sarah Waters is more my style. Read. Write. Edit. Repeat. Read your work aloud. I spent many years too afraid to write anything at all because I was scared I wouldn’t be good enough. Don’t do that. As mentioned above, I’m currently working on a novel (or possibly a trilogy) about New Orleans. It’s a big change for me, in terms of location, historical period and challenging history. I’m still researching and planning, so it’s early days – too early to say anything more! Jane Eyre. I was a precocious reader and devoured Charlotte Brontë’s classic quite young. Much of the nuance was lost on me at the time, but I cared deeply about Jane and, even at that young age, found much that resonated. She and the novel, have endured. Since I moved back up north a few years ago I’ve spent time in Haworth and have visited Brontë Country a lot while researching for The Coffin Path. It’s a romantic view of the moorland landscape, but all the Brontë characters (or perhaps Charlotte, Emily and Anne) are always in mind. The Coffin Path is published by Headline.